The witch hazel’s claim to fame is it flowers in the fall or winter, producing skin petalled flowers that remind some of you humans of spider legs. Get it? Spiders, Halloween, witches? We don’t actually, but this is a pretty neat tree that grows a nut from those flowers that wildlife find pretty tasty. but in the wild the native species, Hamamelis virginiana, is an understory tree. Give a witch hazel a spot in your yard–lots of late and early foraging bees will appreciate that you have extended the blooming season! 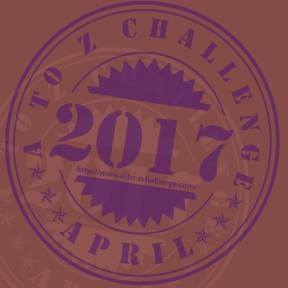 And this ends our 7th year participating in the Blogging From A to Z Challenge. We love sharing nature in our suburban neighborhood and hope or readers have enjoyed this month of nature blogging, too. We will take a few days off, then resume with our blogging in a more casual manner, as befitting a group of squirrels! Sometimes known as the Yellow Woolly Bear, this fuzzy caterpillar is striking with his furry spines. He is somewhat smaller than the black and orange woolly bear, but feeds on clover and grass so likely you’ve seen him at some point. After eating his fill and changing to the adult form, he’s known as the Virginia Tiger moth, a white moth that we don’t have a photo of, so here’s a resource at Butterflies and Moths of North America. We admit it! 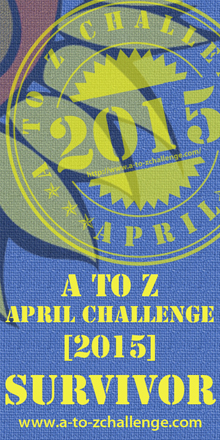 We cannot find a decent ‘X’ for this year’s challenge. Like with ‘U’ we are resorting to the name. But that shouldn’t offend many people because the Eastern BoX Turtle is a well-loved animal in our area. These fellows are docile dweller on the forest floor, hiding quite well with their camouflaged shells and eating everything from slugs and worms, to berries and mushrooms, and even the poisonous mayapple if it isn’t consumed at exactly the peak of ripeness, which a box turtle can tell by smell. That said, they aren’t as smart of as fast as some squirrels we know. In our ever-increasingly busy neighborhoods they still try to cross the roads. Please give them a ‘brake’ if you see one, and stop to help them across the road. It’s sad to see these ancient creatures declining because of our technology. For those readers just joining us, Thursday is traditionally our ‘water day’ on The Squirrel Nutwork. 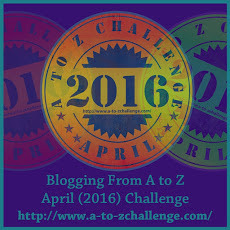 So while we had thought to use a different ‘W’ for this year’s Blogging From A to Z Challenge, we can’t deviate! Some places in nature fresh water is plentiful. In others, it’s in short supply. Regardless, we all need it to survive, whether we are water dwellers or not. 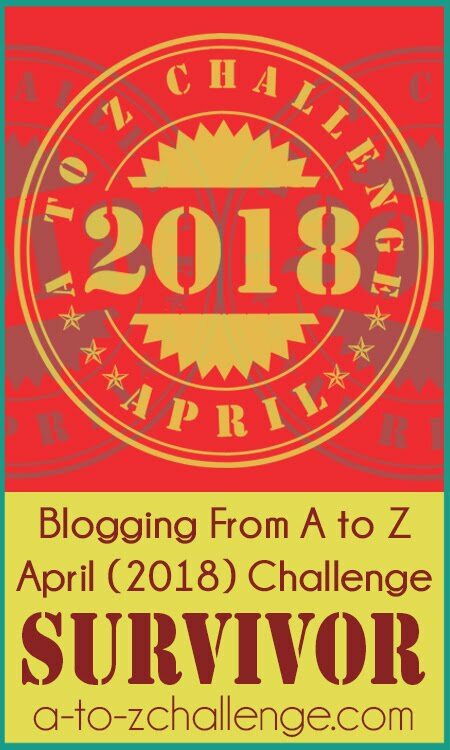 Variegated Fritillaries mostly lay their eggs on the Passionflower plant, but if you keep a suitably diverse lawn–what Miz Flora has heard humans call messy–you may see them on violets as well–another ‘V’ in nature for our Blogging From A to Z Challenge! Their Speyeria fritillary relatives, like the Great Spangled Fritillary, seek out only violets. These woodland frogs with their sticker toes are cute little fellows, hard to see and surprise you humans who happen upon them. They surprise even us, because on tree bark they look like, well, tree bark. And for our Motionless Monday wildlife statue, another frog that’s blending in with his surroundings. We squirrels can’t give our readers a better message, and frankly this human has more years’ experience on this planet than we do, so please listen to a message Google is sharing today, Earth Day 2018, with Dr. Jane Goodall. We squirrels see a lot of this beautiful summer flower, because it is native to eastern and central North America, but also because you humans seem to like its cherry color and daisy-like look. It’s a type of sunflower that you’ve developed a few varieties of, but there are also more than two dozen native black and brown-eyed species. And if you absolutely insist that S Must Be For Squirrels, check out last year’s 2017 ‘S’ post which treated squirrels right! Isn’t this a beautiful butterfly? We squirrels confused it with the spicebush swallowtail, but the red-spotted purple is far more iridescent. The butterfly will be most anywhere in the eastern North America that the host plants for its caterpillars are found. Some of those food plants are leaves such as cherry, popular, oak, hawthorn, birch, willow and shadbush.